Historically the first formations of The Royal Canadian Legion can be found to date back to 1918. Originally called The British Empire Service League, The Canadian Legion was founded in Winnipeg in 1925. In 1960, “Royal”, with the Queens consent, was added to the title. 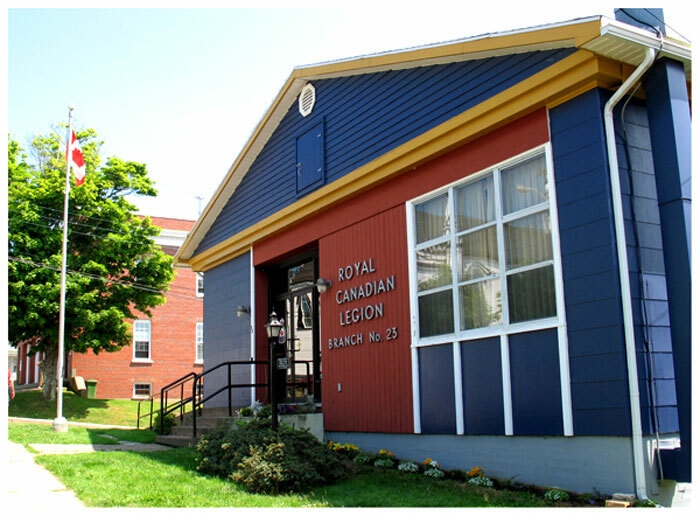 Branch #23 in Lunenburg was formed in 1926 and consisted mainly of 1st. World War veterans, presided over by the 1st. President, Mr. Pitt Potter. The original home of Branch #23 was known as “The Billy King Theatre”, which was destroyed by fire in 1957. The present structure was built in 1959 at which time Mr. Gordon Hebb was President.